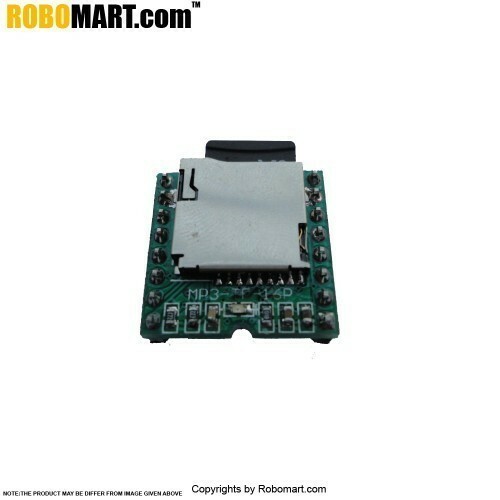 This is a small and low price MP3 module with an simplified output directly to the speaker. The module can be used as a stand alone module with attached battery, speaker and push buttons or used in combination with an Arduino UNO or any other with RX/TX capabilities. Note:The images are just for representational purpose. For exact details about the module, please refer to the datasheet attached in the download tab.